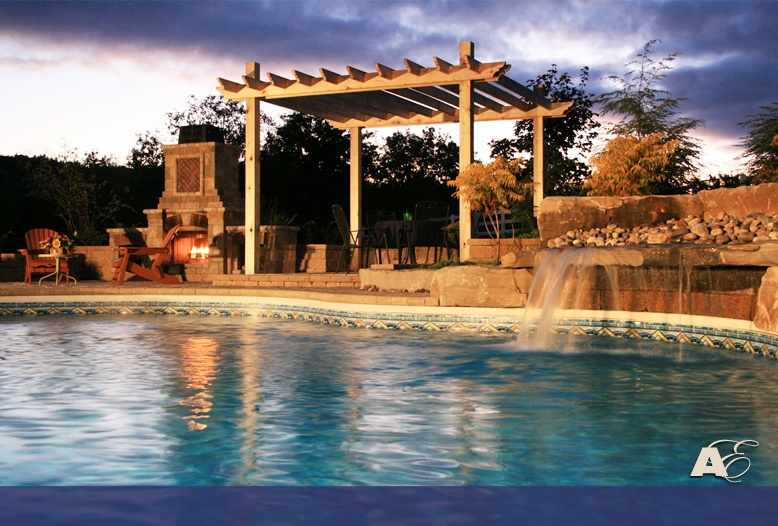 Welcome Home... that's what Landtech Design wants your outdoor living space to say to you. From the moment you pull into your driveway, to the stroll along your walkway leading to your beautiful and inviting front entrance, you feel welcome and at home. 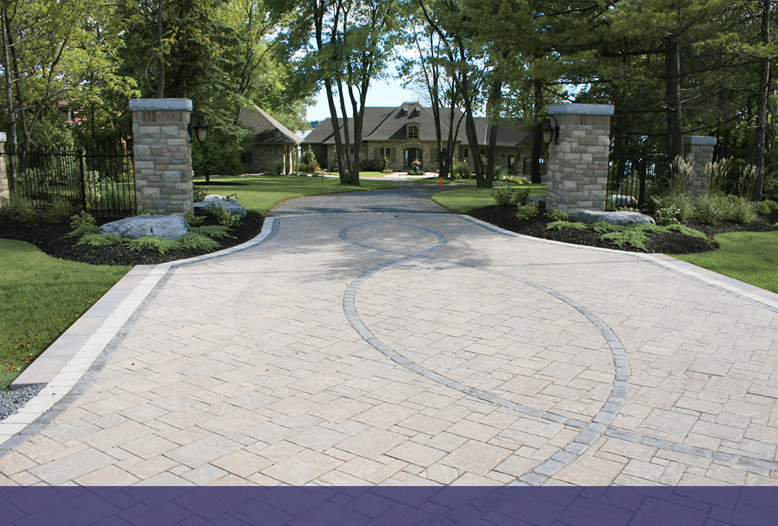 Brian Van Dyk and his team of dedicated, professional and highly skilled landscape technicians will strive to ensure that the greatest attention to detail, quality and craftsmanship goes into every landscape design, no matter how big or small. Are you looking for fresh and unique landscape design ideas or a plan for your garden to enhance the natural beauty of your surroundings? Brian will work directly with you to design and create a personalized, outdoor living space to suit your needs and fulfill your dreams. He will help you select from an endless range of materials, including: natural stone, Unilock paving stones, quality plant material, water features, night lighting, wrought iron, low maintenance decking, fencing and arbours. 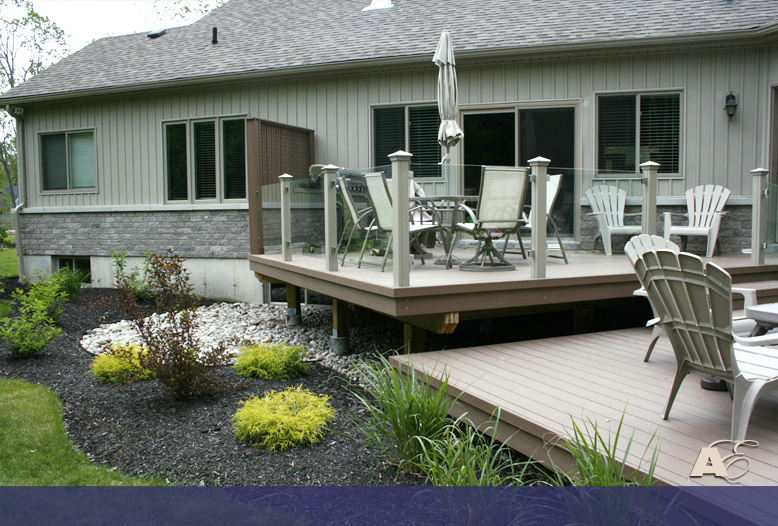 Your landscape plan and quality materials are designed to beautify your property year round and provide you with an invaluable investment. A professional Landscape Architectural Technologist, Brian Van Dyk offers a lifetime of experience in the field as a third generation member of a family-oriented business. This experience and expertise is your assurance of excellence, courtesy and service. 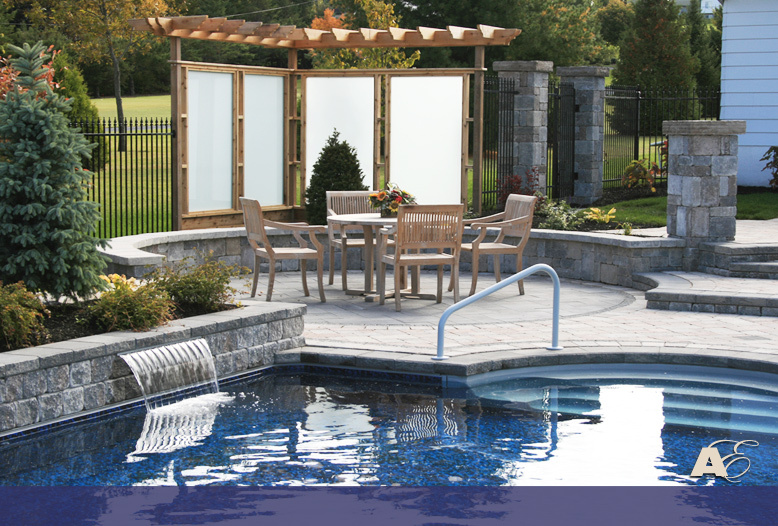 Let Landtech Design turn your outdoor living area into a welcoming, personalized space for you, your family and your guests to relax and enjoy for years to come. 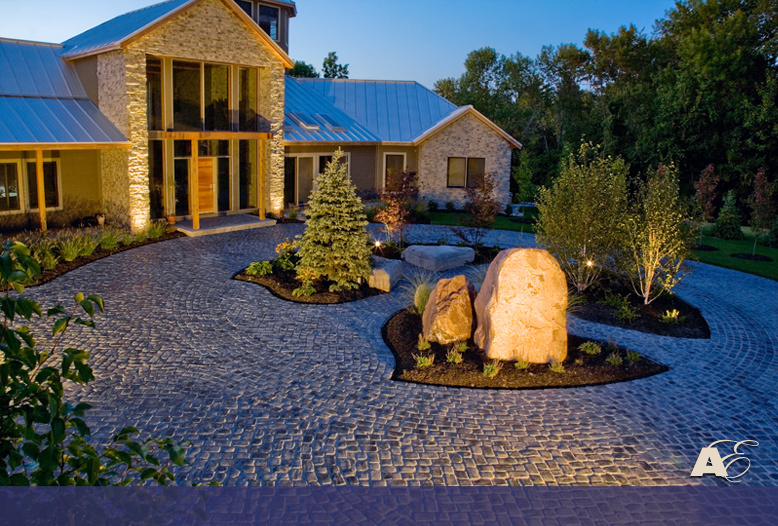 Welcome to Landtech Design Landscape Contractors. Welcome Home. 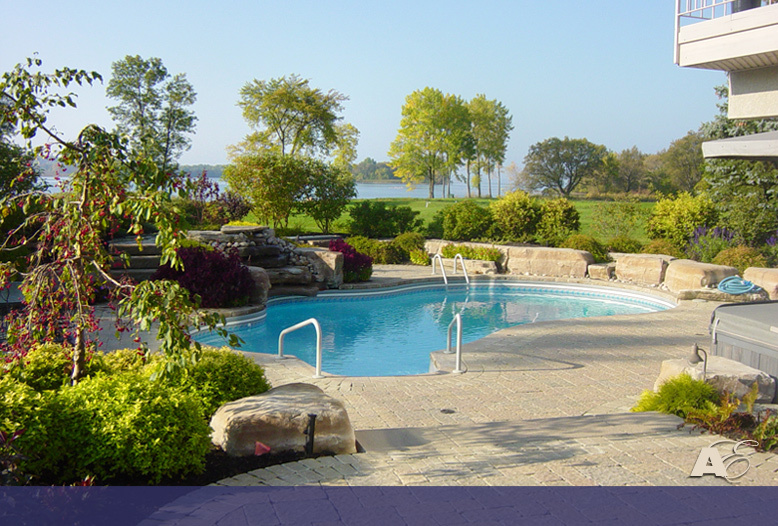 LANDTECH Design Landscape Contractors - serving Belleville, Trenton, Brighton, Picton & Prince Edward County, Tweed, Napanee & Kingston, Ontario since 1991.
front entrances, water features, decks & fences and driveways.